Sci-fi occupies a very special place in my heart, one that was once reserved exclusively for the classic N64 game Pokemon Stadium and chocolate-covered pretzels. Growing up, my parents did not believe that my brother and I should watch TV. I distinctly remember the words “the devil’s work.” We did eventually get a TV, which had one and only one channel: the Sci-Fi network. Star Trek, Star Wars, Back to the Future, Men in Black, Spaceballs- I love them all. If it involves green skin, pointy ears, cheesy ’80s special effects, large sluglike intergalactic gangsters, William Shatner and/or Harrison Ford, I am ALL OVER THAT. Except for maybe the new Indiana Jones. You guys, can we talk about how so many things about that movie were so very wrong? First, you’re really going to survive a nuclear bomb because you were in a lead-lined refrigerator? I AM SO SURE. 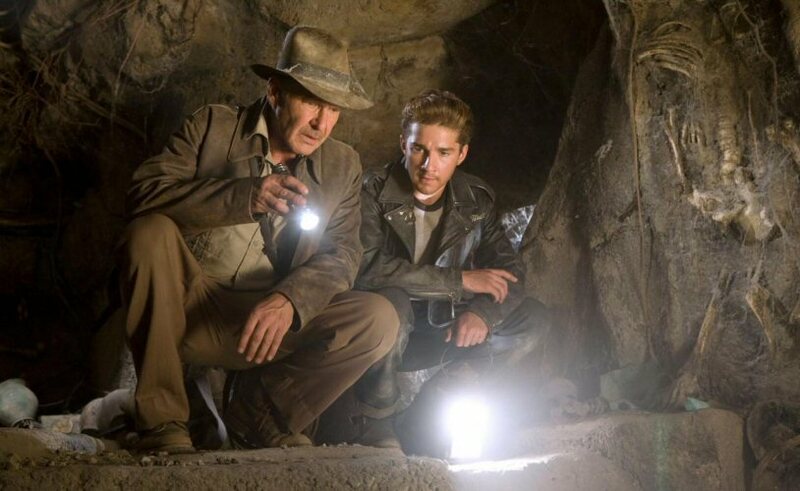 The crystal skull shenanigans were straight up silly, and furthermore, I absolutely refuse to believe that if Indiana Jones had a son he would be a whiny little punk like Shia LaBeouf. Listen, Shia, you were a lot more awesome when you were dealing with the family curse that Eartha Kitt put on your no-good-dirty-rotten-pig-stealing-great-great-grandfather in “Holes”. You don’t mess with Eartha Kitt, y’all, or she will turn you into a llama like she did in “The Emperor’s New Groove”, which will, needless to say, throw off your groove. Stop trying to make Shia happen, Indiana Jones. It’s not going to happen. 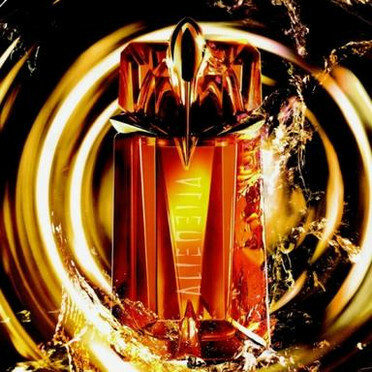 So what with my affinity for sci-fi, the cards were stacked in favor of me loving Thierry Mugler’s Alien, which is housed in a bottle that can only be described as delightful. The Eau Luminescente bottle, in particular, brings to mind the Carbonite chamber into which Han Solo is frozen at the end of Star Wars V: The Empire Strikes Back. For some reason it is really, really hard to find a picture of that scene online, so here is the Lego counterpart instead. 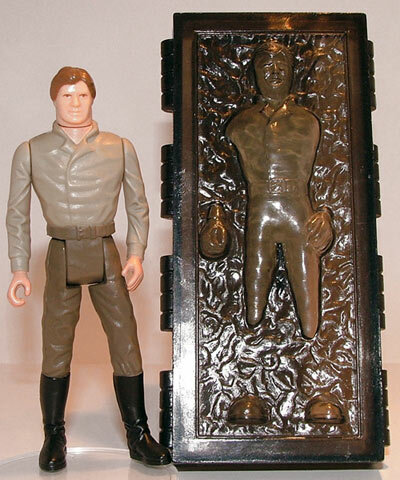 I am fairly certain that Han Solo’s neck was not actually wider than his head. Now, there’s good sci-fi, there’s so-bad-it’s-good sci-fi, and then there’s actually-bad sci-fi. Despite the exciting bottle, Alien is somewhat lackluster. Created in 2005, Alien is a very sweet, somewhat powdery jasmine. Though not exactly sugary, the sweetness is as shrill as the buzz of a mosquito. Alien is a “modern” jasmine, in that it lacks the indolic feel of many classic perfumes that feature jasmine notes. It is much more wearable than that other Thierry Mugler offering, Angel, and I think there will be very little overlap between the fan bases of the two. I would recommend Alien to fans of Juicy Couture Couture Couture, or those who are not into old-school jasmines such as Lanvin Arpege or Jean Patou Joy. Interesting… very interesting. Unlike the rest of the western world, I had not smelled Alien until recently. I have trouble with indolic jasmine (Joy, in all concentrations, vintage or not, smells distinctly of Streetwalker Undies on me) and was surprised at liking Alien, since I think Angel is quite possibly the apocalypse in a bottle. Alien does swing back and forth between “woody” and “way sweet” – I find the drydown really pleasant. 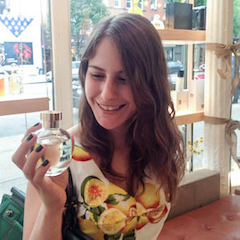 For the record, I found Juicy Couture ridiculously fruity, although I like tuberose. I do wear vintage Arpege, but that one, I think, is a rich enough formula that the jasmine gets too buried under other stuff to come out all slutty. Mals, it’s a delight to hear from you! I’m not a huge fan of indoles either, although I have never experienced anything as scary as “streetwalker undies” from them. Alien is definitely a nice non-indolic choice, and I covet that little purple bottle. I love, love Alien Luminescence. I’m so sad I gave my bottle away; now it’s very HTF. The original Alien has this purpley, not-entirely-likeable vibe on me. Rita, I very much hope you will be back! It is a pleasure to meet you. And there is absolutely no resemblance to Angel. They’re not even distant cousins, I promise! Amy, what could have possessed you to give that bottle away?? ?